Joeth ‘Chyna’ Pratt has been reported missing since November fourth when she disappeared from work at Cisco Construction Ltd. earlier that afternoon. A dedicated team of colleagues has scoured Medina Bank where the company truck she was driving that day had been discovered sometime later. 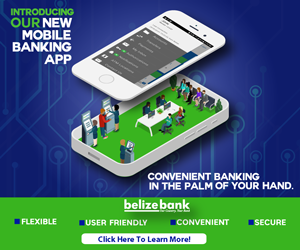 Pratt, a resident of Lord’s Bank, is a former inmate of the Belize Central Prison and had been working diligently at turning her life around since her release. Despite the assistance of local authorities in Toledo District, including police officers and TIDE rangers, there have been no signs of the missing woman. Neither did a flyover of the area produce any material results. 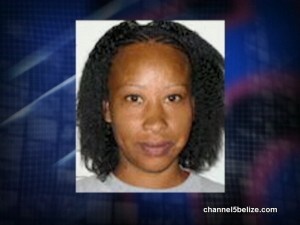 News Five understands that Pratt is one of two siblings whose mother resides in the United States. According to Francis ‘Cisco’ Woods, assistance from a local resident has been sought and all hope is that his familiarity with the area, as well as the Maya language, will help in gathering information on Pratt’s whereabouts. In our last interview with Woods, he said that the British Army Training Support Unit, BATSUB, would be called upon for use of tracking dogs, in an effort to pick up a trail. We have been unable to confirm whether that leg of the search and rescue operation has transpired. Pratt’s disappearance is eerily reminiscent to that of Hattieville Chairman Kevin Carcamo who was reported lost in the dense vegetation behind Freetown Sibun in July. Notwithstanding a massive search and rescue effort led by Discoverseis, the missing linesman was never found.